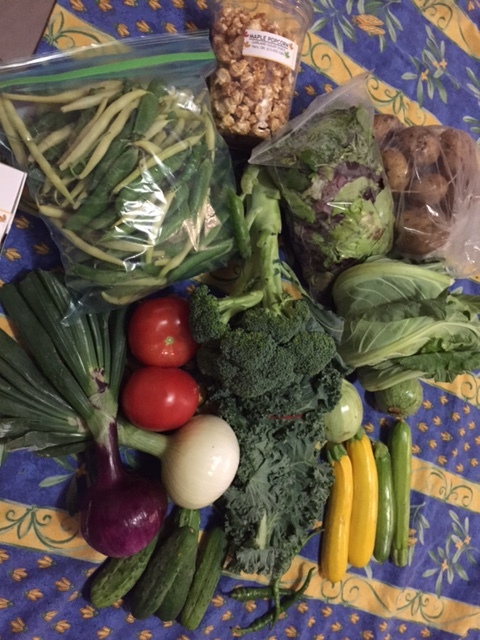 So I love sharing what we received in our Community Shared Agricultural program from basket from Rochon Gardens (located in Ottawa!) each week! Sorry about the recent hiatus – it was in a large part related to a busy month of July travelling, visitors and just the need to take a step back from the online world for a little bit. As usual, Rochon Gardens provided such an awesome basket of goodies and some maple treats! These are the real deal, the veggies are juicy, delicious and of course, fresh. On the menu this week? With our farm fresh eggs, I will be preparing a couple of crustless veggie quiches to freeze for quick week night meals. Yummy! Kale chips are also a week night treat. Healthy and delicious! 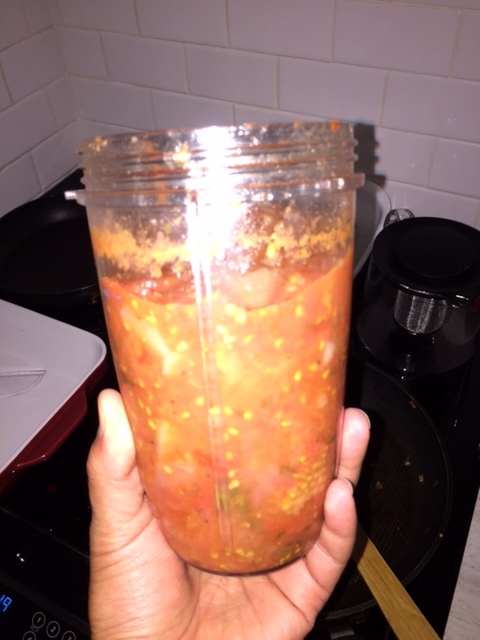 This week we had a few left over tomatoes, garlic, and a few other fresh ingredients so I decided to start my annual supply of homemade marinara sauce. Yummy! I would love to share my recipe with you, but you will need to check back in a couple of weeks when I share my secrets to making a delicious, freezable sauce to die for! 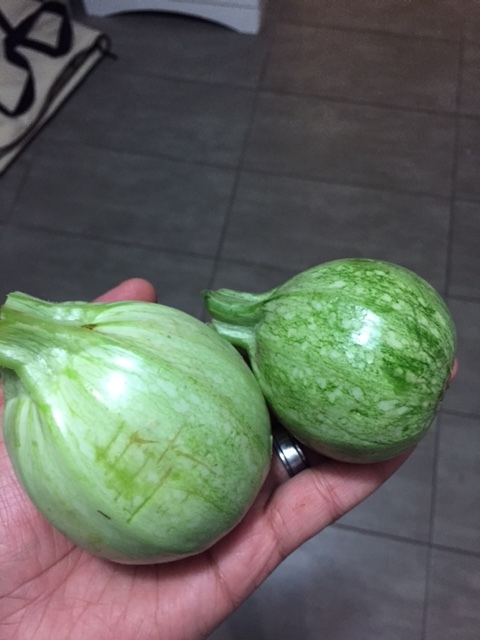 You make wanting to grow a garden and eating the daily fresh produce a must! !Unlimitless ideas! !